Sir here I am searching for the Rajasthan Public Service Commission Ajmer Admit Card for Head master secondary examination 2012 so please can you give me the date of my admit card and tell me from where can I download the admit card? RRB Ajmer AMS exam admit card? You can get the admit card by entering your application ID, date of birth and exam name which is Head master secondary examination 2012. Then click on proceed button for further instructions. 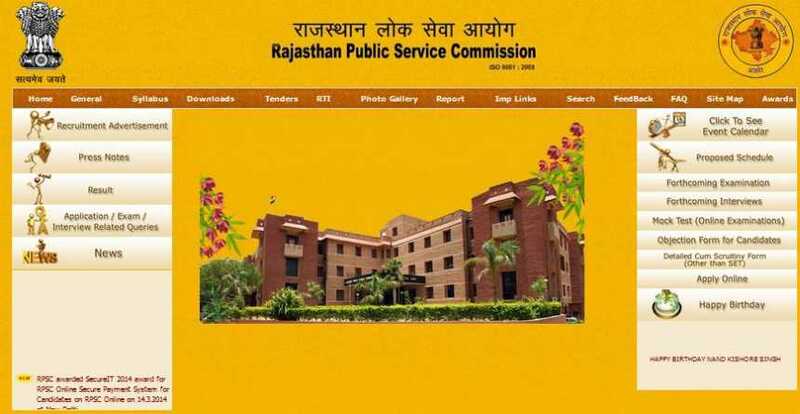 Rajasthan Public Service Commission release their admit card on their official website. You can download it from website. On to the website you need to click on the â€œadmission cardâ€� from the home page. After that you will redirect on new page which looks like same as this image. At present there is no any admit card publish so when ever it will publish then you can download it from here. Last edited by Aakashd; July 30th, 2018 at 06:18 PM. Rajasthan Public Service Commission (RPSC) is the foremost commission of the government of Rajasthan for organizing recruitment exams, procedures for recruiting employees, officers to various departments of the government.